This section gathers many basic Japanese phrases you might use if you plan to travel to Japan for vacation. There are also some Japanese travel words which you may want to refer. You are bound to talk to some native Japanese during your trip in Japan. For examples, you probably need to ask for directions when going to some tourist attractions, or you may want to ask for prices of souvenirs that you want to buy. While it's ok for you to ask questions using English or some sign language and get your way through, it will be nice that you ask using some basic Japanese phrases, 'surprise' them and probably they will feel more obligated to help you. I might be wrong as this is just my own feeling. However don't you feel more comfortable if foreigners ask you for directions using your native language in your country? Let's see what are the basic Japanese phrases you may use in your Japan trip in the following list. omocha uriba wa doko desu ka Where is the toy department? kore wa nihonsei desu ka Is this made in Japan? kore wa ikura desu ka How much is this? hakubutsukan no denwabangou wa nanban desu ka What is the telephone no. of the museum? nanji kara nanji made aite imasu ka When are you (shop/place) open? yasumi wa nanyoubi desu ka Which of the days that you (shop/place) are closed? kono densha wa doubutsuen e ikimasu ka Does this train go to the zoo? kono densha wa shibuya eki ni tomarimasu ka Does this train stop at Shibuya station? dono gurai kakarimasu ka How long does it take (to reach there)? nanji ni demasu ka What time does the train leave? 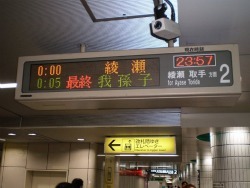 nanji ni tsukimasu ka What time does the train arrive? kuukou niwa dou ikeba ii desu ka How can I go to the Airport? basu de ikemasu ka Can I go by bus? 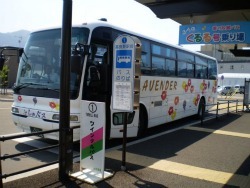 basu noriba wa doko desu ka Where is the place to board the bus? kochira de ryougae ga dekimasu ka Can I change some money here? nimotsu wo azuketemo ii desu ka (in the hotel) Can I leave my luggage here? koko ni toire ga arimasu ka Is there a toilet here? chotto kiitemo ii desu ka Can I ask you something? tetsudatte kuremasen ka Can you help me? The above list contains some basic Japanese phrases that you might use when you travel to Japan. I may have missed out some other Japanese phrases. Let me know if you think there are areas that I need to cover and I will be glad to update this list of basic Japanese phrases. If you are thinking to learn more basic phrases that you can use for your next trip to Japan, you might want to advance your knowledge of Japanese through this simple online course on Japanese.